Νέα συλλογή, την δεύτερη συνεχόμενη και έβδομη συνολικά στην καριέρα τους, θα κυκλοφορήσουν οι Stratovarius. Τιτλοφορείται "Enigma: Intermission II" κι αναμένεται στα τέλη του πρώτου φθινοπωρινού μήνα. Δελτίο τύπου: «Stratovarius, the top name in the melodic power metal scene, are back with a new album - with some fresh and some very rare material! 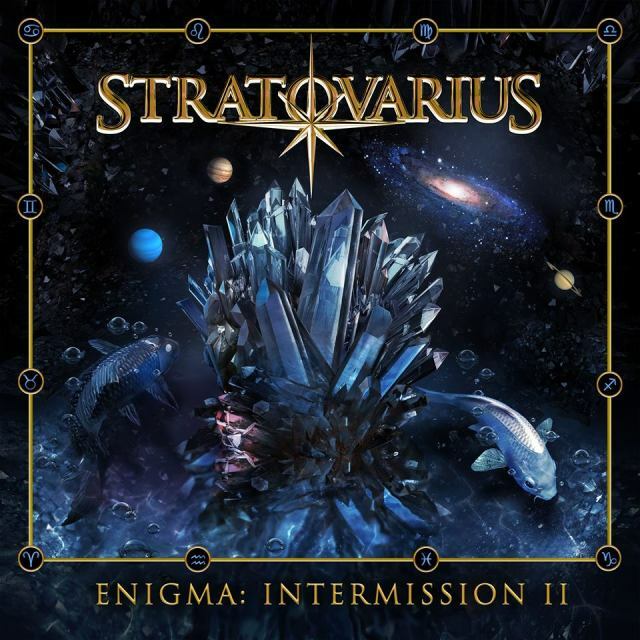 “Enigma: Intermission 2” features three brand new songs as well as, for the first time in the band’s history, four beautifully arranged orchestral versions of popular Stratovarius songs. The album is similar in concept to “Intermission”, released 17 years ago between “Infinite” and “Elements” the sense that these seven tracks made in 2018 are completed by nine very rare, very hard to find power metal gems. With over 30 minutes of brand new material and 50 minutes of previously rare metal, “Enigma: Intermission 2” is definitely more killer than filler! Take “Enigma” and “Oblivion” for example, fresh from the studio in 2018 and most definitely two killer songs. Both combine an epic melody with a bombastic chorus and heavy riffs for Stratovarius’ trademark sound and remind of “Unbreakable” from their 2013 album “Nemesis”, the most streamed song in the band’s history. Or “Kill it with Fire” and “Castaway”, two epic and full blown power metal tracks that were previously only heard by Japanese fans. 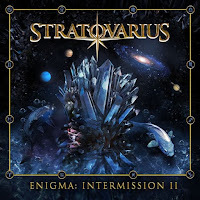 The sweeping melodic power metal grandeur of Stratovarius, together with Timo Kotipelto's powerful yet emotional voice, is very much present on all of the 80 minutes of this release. METAL BLOGGER 13 Αυγούστου 2018 - 1:28 μ.μ. Stratovarius χωρίς Tolkki δεν υπάρχουν. Έπρεπε να αλλάξουν όνομα. BALADEUR 13 Αυγούστου 2018 - 9:00 μ.μ.